Everything But Тhe Box was created in 2003 by Kamen Dobrev and Dobromir Dobrev. Actually everything started in 1991 when we created our first company called Shark Art, which operated in the professional audio distribution and system integration. We were specialized in the distribution and system integration of broadcast and studio equipment. Our customers were virtually all private radio stations as well as the National Radio, Radio France International etc. 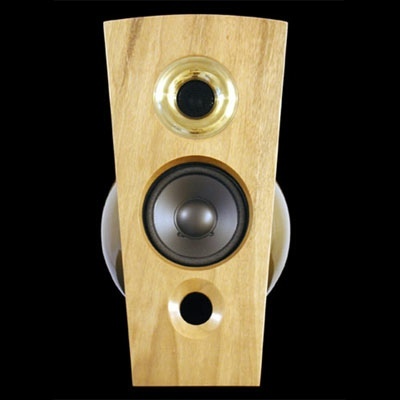 Everything But The Box designs, develops, manufactures and markets High End loudspeaker systems. Our loudspeakers are symbiosis of art and technology and incorporate exceptional design with ultimate audio performance. They are sold to audiophiles and professional users, which need high quality and features rather than low price. 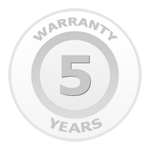 You will immediately notice every loudspeaker manufactured by us. We design each of them with passion. And it's visible. But our leading principle for all those years is: form follows the function. We never step out of it and this is audible. Nothing is left to the chance. Each part has its carefully chosen place with one single goal: to delight your ears and eyes. Perfect design both in appearance and acoustics. EBTB operates in accordance with the highest standards in all relationships with customers, suppliers and the community. EBTB fosters a climate which encourages innovation and diligence amongst staff and rewards accordingly. EBTB keeps highest standards for preventing the environment of pollution. Our unique products need unique approach for manufacturing. 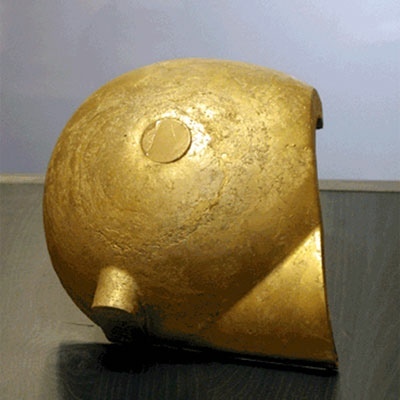 We mix science and art, technology and traditions to obtain these unbeatable results. First we select carefully the materials we used: high quality solid wood, natural leathers, aircraft grade aluminium, stainless steel, only top quality lacquers and of course only high quality components. Some of the parts are made on CNC machines, while we use very old technologies for other. All finishing operations including the painting and polishing are made by hand. 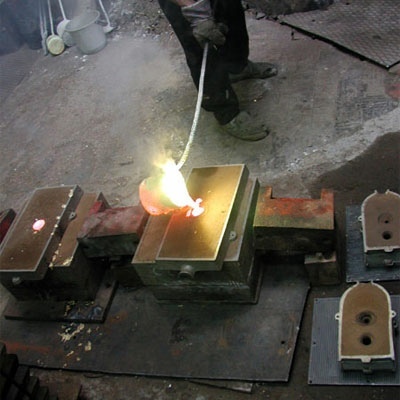 Truly unique pictures showing Terra One and the casting methods we used in the beginning. Now we use die cast under high pressure. 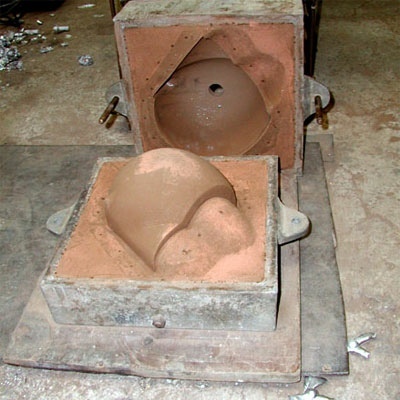 During our work we found many problems in the design and construction of many existing loudspeakers. So we decided to start our own designs. One of the biggest omissions was that generally all manufacturers neglected the main rule: the form follows the function. Generally all monitor’s enclosures were simple box which generates many problems. The manufacturers tried to struggle with these problems by means of electronics, which caused other problems, or simply passed by these problems. We decided to follow another approach: to use the best shapes as known by the laws of physics and to try to make the best possible loudspeakers for their price range. 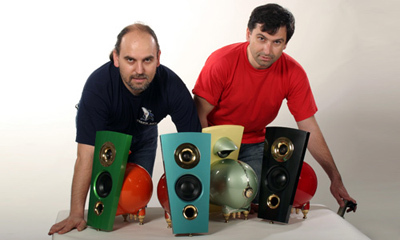 The first products started in 1997 and they were active and passive studio monitors. In 2001 Terra was created and in 2003 we decided to separate this venture in a new company. This is how Everything But The Box appeared. Now we operate in own factory near Varna. 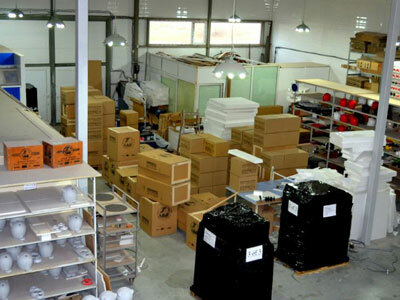 All R&D and design works as well as most of the processes and operations are based in this factory.